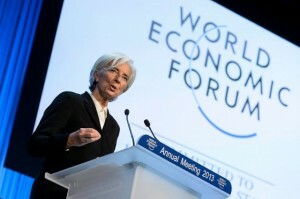 The International Monetary Fund has been at odds with other partners in the Greek bailout saga. Its economists have wondered whether strangling a state with the noose of austerity is a decent way of either eliminating debt, let alone stimulating growth. Not that the body has gone entirely anti-austerity. 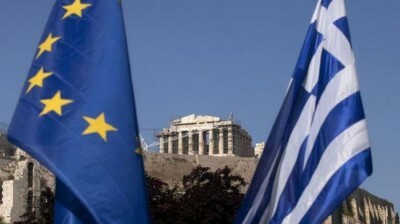 The European Commission, and the European Central Bank, have enjoyed taking the high road on trimming the Greek state while seeking debt repayments. Their obsession with credit, and their reduction of states and their citizens to bank balances, has betrayed a mania for debt hood over sovereignty. 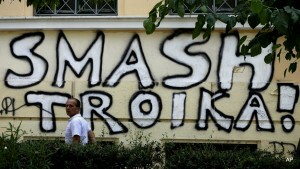 The point was amply illustrated by the financial occupation engineered in July, when Greece accepted a three-year, 86 billion-euro European Union bailout. 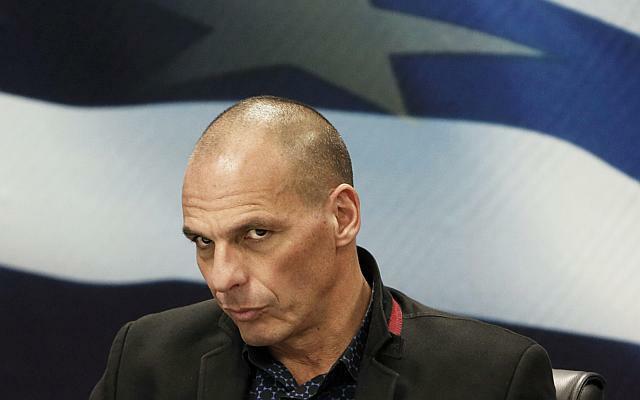 The Syriza dream of financial independence and a comprehensive renegotiation of terms was at an end. The clash of positions within the Troika, and the IMF itself, has perpetuated something of an institutional, undermining perversion. Athens has been effectively receiving funding from an organisation which has, as its main directive, an obligation not to fund insolvent states. This has caused a degree of dissatisfaction in the ranks of the organisation, one demonstrated by a conversation leaked by WikiLeaks that supposedly took place on March 19. 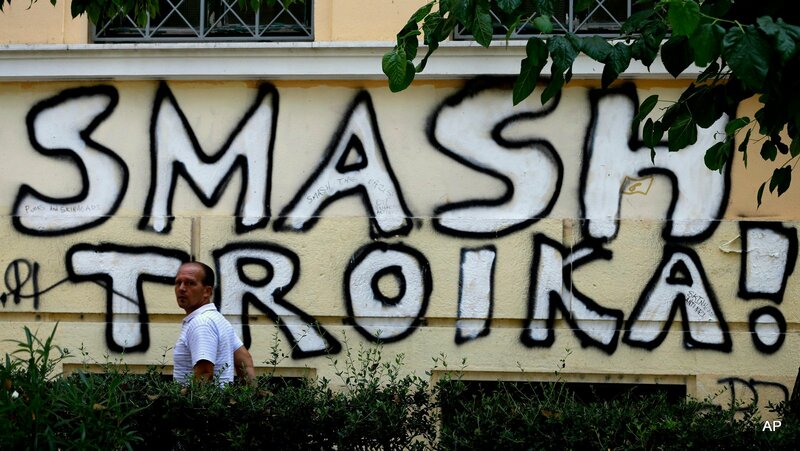 The dialogue between Delia Velculescu, the IMF’s Greek mission chief, and Peter Thomsen, the same organisation’s European head, became something of a bomb shell between Athens, its European counterparts, and the IMF. It hardly demonstrated a new won sweetness on the part of the IMF to be more generous. More accurately, it demonstrated the political haggling over how an oppressive debt-austerity regime could be handled for the next crisis. The further disagreement here suggests that an irritation on the part of the IMF regarding the Commission’s figures. The latter insist on a Primary Government Budget Surplus of 3.5 per cent, while the former, as stated by Thomsen, put it at 1.5 per cent. This comes down to whether Athens intends being compliant by accepting a revised austerity package plan. This has made the negotiating stance of the Tsipras government difficult: does it hold out for a softer beating in terms of the next austerity package, or will the chop be even more severe? The tipping point will be that calamitous “event”, no doubt a default to one of the Troika members. Like disagreeable vultures, they fight over their quarry. Another crisis event is brewing, bred with part malice, and part confusion. But without a comprehensive program of debt relief that encourages, rather than quashes, actual growth, the shackles will remain in place, and reform for Greece, and Europe in general, will be a just another superfluous word.